Materials and techniques: Bells, cloth, paper, felt, and yarn. Did you enjoy this project? Yes! This was a parental guided art work. The students used knowledge from their social studies content to inspire this work of art. 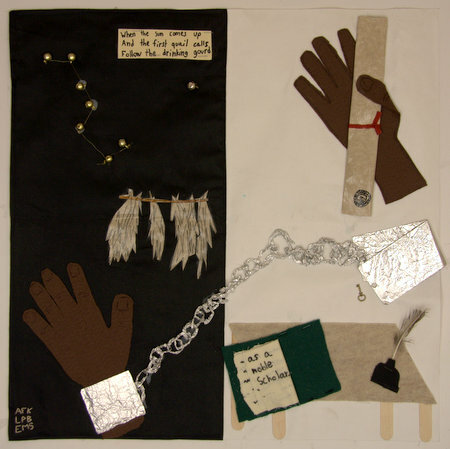 About: African American symbolism and our Virginia fourth grade studies were used to create this art piece.